The wall of an artery contains 3 layers: the tunica intima, the tunica media, and the tunica externa. 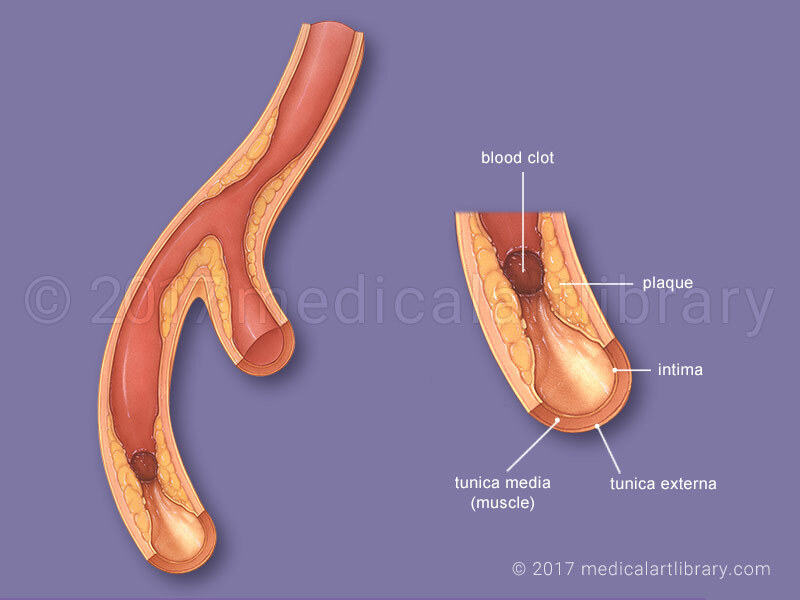 The intima is the thinnest layer, only one cell thick, it surrounds the lumen of the blood vessel through which blood flows. The media is usually the thickest containing layers of smooth muscle cells and elastic fibers. The externa is made up of mostly elastic and collagen fibers. 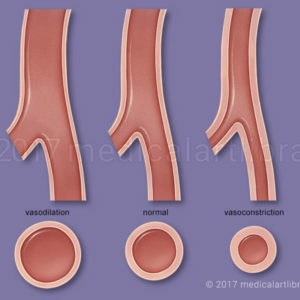 Atherosclerosis occurs when the intima becomes damaged, possibly by infection or inflammation. Cholesterol and other fatty material collects in the artery wall. Muscle cells and fibrous tissue move in and calcium and cell debris accumulate. This creates a thickening called an atheroma or atherosclerotic plaque. In the United States atherosclerosis surpasses cancer as the leading cause of death and illness. 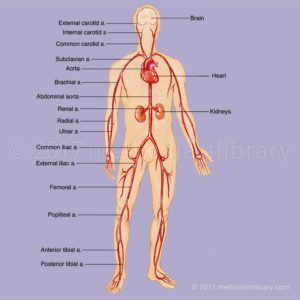 When arteries to the heart (coronary arteries) and brain become narrowed by plaque, a blood clot may become lodged, cutting off blood flow and causing a heart attack or stroke.